Aloha Protein Powder Review (2019): Is This The Best for Vegans? 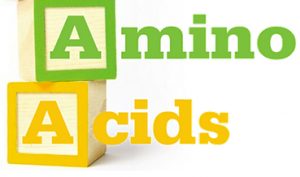 You are here: Home / Healthy Diet / Health Supplements, Vitamins & Minerals / Aloha Organic Protein Powder Review (2019): Is This The Best for Vegans? 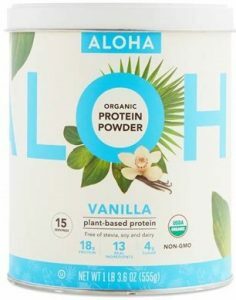 Aloha Organic Protein Powder Review (2019): Is This The Best for Vegans? 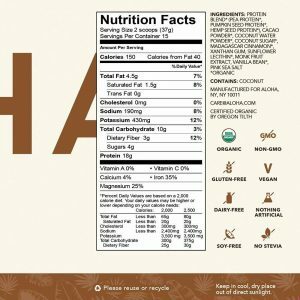 Aloha Protein Powder is a popular product, but can it stand up to a test and live up to its popularity? I personally tried itand tested it for long-term results. I we went through countless customer reviews and analyzed its ingredients. It is an organic product with natural ingredients that claims to provide a proper protein supplementation. 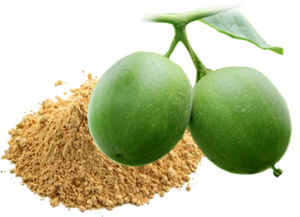 It helps to reduce hunger pangs, improve digestion and help in increasing muscle strength. There a few my favorite products that I already touched upon before, such as vega protein and greens, but let's get ahead and find out about Aloha. Taste is an important criterion when choosing a vegan protein powder, but it’s highly subjective. While some people prefer sweeter flavors, some would somewhat prefer their protein powder taste bland, so they can easily mix it with water. You want natural ingredients in your protein powder, but you also want it to be effective. As such, the protein and amino acids content is your top priority here, along with how healthy the protein powder is. It’s always wise to see who’s endorsing a particular product and what other people’s experiences are with it. Amazon customer reviews are a great starting point for us because you can see the ‘verified purchase’ badge, and you can assess whether the issues are essential or frequent. We always like to test the products we’re reviewing. We tried the Aloha Powder, and I loved it. We saw fast results and increased performance when working out. Hey, we even managed to stay healthy during this flu season, so that should count for something, right? The Aloha Organic Protein Powder ingredients are reasonably clean, which is crucial if you want to buy a safe vegan protein powder. This blend of proteins relies mainly on pea protein, which appears to be quite common in the world of protein powders. With 18 grams of protein per serving, we can honestly say this powder offers a decent protein boost to revitalize sore muscles, increase bone health and improve fitness performances. While this might not be the cleanest Aloha plant based protein powder ingredient, it’s also not something to be scared of, even if Alkali has been used to treat heavy metals too. 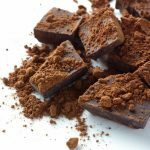 Cocoa has been processed with Alkali for over 180 years to alkalinize it and make it less bitter. It also increases its oxidative power, according to recent studies, which in turn gives your immune system quite a boost. 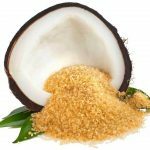 An excellent way to achieve a naturally sweet taste without any extra processed sugar. There are just 4 grams of sugar per serving. Acacia Fiber boosts the immune system because it acts like a prebiotic, helping good bacteria colonize your intestines and fight the bad ones. It improves your digestion too, with a total dietary fiber content of 3 grams per serving. Natural flavor used to make the protein powder taste better. What exactly is a natural flavor? 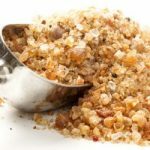 It is made from food items or other edible products, natural flavors are safer than artificial flavors and help preserve the taste of the protein powder even after processing. It is a commonly used ingredient in the food industry. Xanthan Gum keeps the ingredients together, stabilizing the protein powder and giving it the right consistency/ texture. It is another hyped-up organic product that’s very fashionable in all sorts of vegan products and recipes. Monk Fruit tastes extremely sweet, but it’s also an organic ingredient. 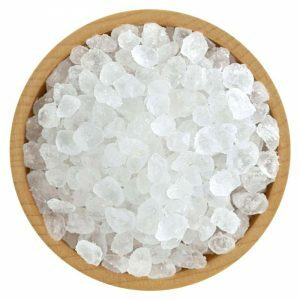 Sea salt is quite healthy and improves blood circulation, decreases swelling, plus it’s not as heavily processed as regular salt. It allows it to keep most of its mineral content, not to mention it prevents clumping for a smoother texture. Most protein powders for vegetarians and vegans use MCT’s derived from coconut oil. 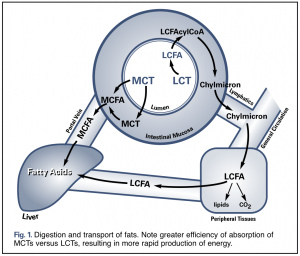 These fats improve digestive problems, offer people who exercise good support to increase their athletic performances, and help decrease body fat. So if you’re looking for the best vegan protein powder for weight loss, the Aloha protein can, therefore, help you increase lean muscle mass. With just 1.4 grams of saturated fat, no trans fats or cholesterol, the 4.5 grams of total fat per serving work great in combination with Acacia fiber to reduce hunger pangs. Besides, the Aloha Protein only has 150 calories per serving, which isn’t a lot. Kudos to Aloha for steering clear of artificial sweeteners and using cinnamon instead, which is an organic, vegan ingredient. This old-fashioned, run-of-the-mill flavor tastes good and is relatively sweet, without being too much. However, it doesn’t have the best texture. We liked the chocolate flavor a bit more because of the great combination of two opposing tastes: sweet and bitter. But the texture is pretty much lacking here too. The banana flavor tastes very far from the real thing, so it’s certainly not an excellent addition to your tea. However, it can taste ok-ish in smoothies or yogurts. The texture? Yes, pretty much underwhelming here too. It is the flavor with the best texture, but it’s also the sweetest one. 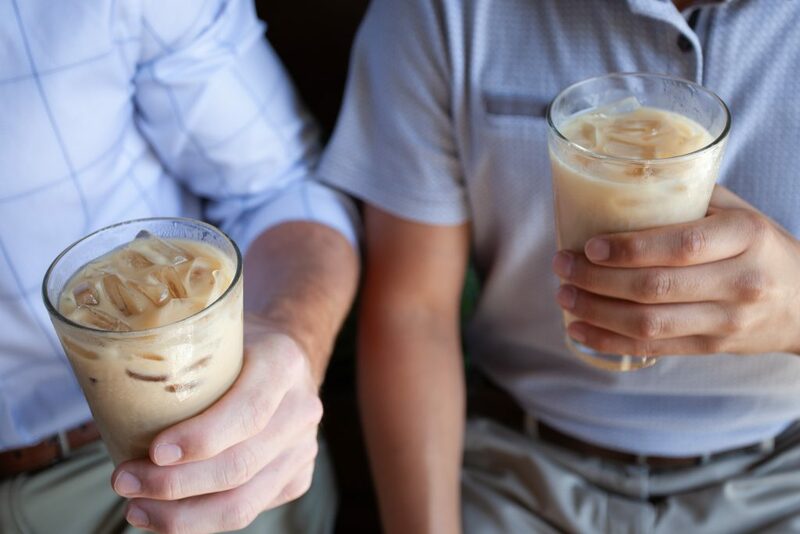 So if you’re not a fan of a sweet, berry-tasting morning coffee, better skip this one. Does it Provide Enough Protein to Be Effective? According to various sources, an average sedentary man should eat about 56 grams of proteins per day, while an average sedentary woman should consume 46 grams of proteins per day. With 18 grams of protein per serving, the Aloha powder covers a third of the necessary daily protein intake for sedentary men. Compare this to one roasted chicken breast without skin that boasts 53 grams of protein at just 100 calories more. 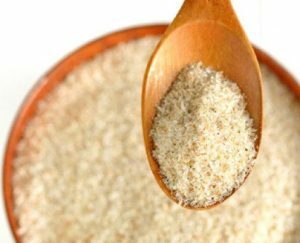 Conversely, a cup of oats contains 27 grams of protein, but it has close to 300 calories. 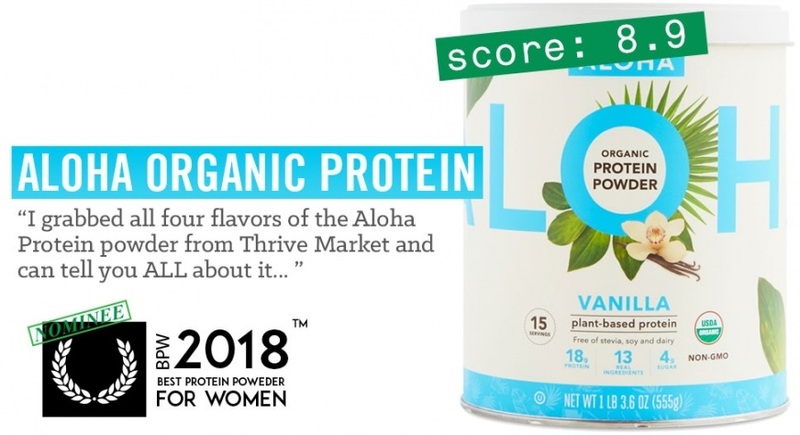 Taking that into account and comparing the caloric intake/ protein intake, the Aloha protein is a good source of protein for people who want to keep their calories in check. Besides, if your protein intake is already pretty good, the 18 extra grams of protein per day help with muscle recovery and bone strength, so you can be in your best shape. Some online reviewers complain about after taste. I think the best flavor is the Mixed Berry, although it’s relatively sweet because it has the best texture and that reduces after taste. The Chocolate flavor is next, then Vanilla, while Banana flavor is my last choice because of its artificial taste and yucky texture. Is this Vegan Protein Powder Safe to Use? Yes, though there are better alternatives, you can read about it below. 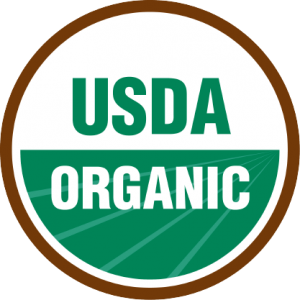 When it comes down to it, Aloha Protein Powder has a USDA Organic by Quality Assurance International certificate. However, it doesn’t have an FDA approval. Most consumers like this product because it’s convenient and easy to use. The natural ingredients are appreciated by the consumers, as well as the fast results. Most people recognize how easy it is to lose weight and gain lean muscle with the Aloha, while some say their chronic arthritis pain has improved. As expected, people have different views when it comes to the taste/ texture combination. While some love a particular flavor, others will loathe it. Either way, most users agree that you need a blender to achieve a good mix. 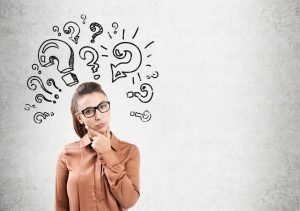 The taste/ aftertaste complaint is the most common one with online reviewers, though another regular complaint is that you need a blender to mix this powder successfully. Some people might not be pleased about the price either, but the added benefits are worth it. Apart from these somewhat subjective points, I’m happy to say there are no huge issues with the product or with the brand. Aloha Organic Protein Powder and aloha protein bars are reasonably safe products, with generous protein content and natural ingredients, that offers quick results. Although it’s quite good and popular, but personally I prefer Transparent Labs powder - it works better for me in terms of recovery and how I feel (stomach) and considering my level of activities that I am involved in daily. 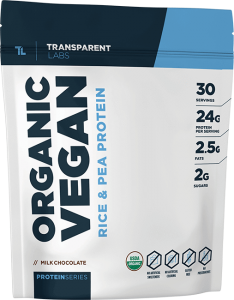 While Aloha Protein Powder has 18 grams of protein per serving, Transparent Labs Protein Powder contains 24 grams per serving. It helps your muscles regenerate faster, so you can improve fitness level or recover from an illness.